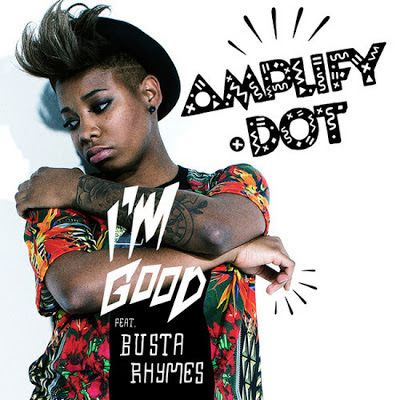 Virgin EMI artist Amplify Dot surprised us all when she featured huge super-rap legend Busta Rhymes on her new single "I'm Good", just last week. And this week the new video is here and it is looking good! Amplify Dot has showed her strength within the years and this new video just proves that she is ready to takeover the whole scene! Especially as she crosses over and features US rapper Busta Rhymes. "I'm Good" video was shot in Jamaica - with Amplify Dot dancing with the locals and even cruising round town in Jamaica around a stylish customized 'Sound Bike', kitted out with speakers and a sound system strapped to the sides. Unfortunately Busta Rhymes does not appear in this video - but either way it's still a great video. "I'm Good" will be released on July 22 via Virgin EMI and is currently available to pre-order via iTunes. In addition to her new single, Amplify Dot will be touring the UK this June and July - peep the tour dates below as well as her new video to "I'm Good".